Take the unforgettable Wembley Stadium Tour. Go behind the scenes into England’s changing rooms. Walk in the footsteps of legends, through the players’ tunnel towards the hallowed turf. Stand triumphantly in front of the Royal Box with The Cup. Until your dream of playing at Wembley comes true, the only way to experience all this and more is to book your Wembley Stadium Tour now. The Wembley Tour now also includes the new Exhibition of Champions - celebrating the 56 UEFA Champions League Finals from 1956 to 2011. 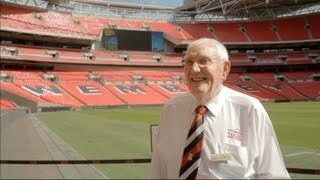 Is Wembley Stadium Tour your business?